Are you brave enough to take a chance on this tempting triple-core chip? AMD's triples look good on paper, but somehow don't add up to the sum of their parts. Feeling lucky today, punk? We reckon that's the question you need to ask yourself before taking a punt on the AMD Phenom II X3 720 Black Edition. Based on AMD's flagship Deneb processor die, the 720 has the full 6MB compliment of L3 cache. It also runs at a reasonable 2.8GHz frequency. As a Black Edition chip, it even has an unlocked CPU multiplier for easy overclocking. Not bad for a chip priced well under £100. There is, however, something missing. AMD has disabled one of Deneb's four cores. 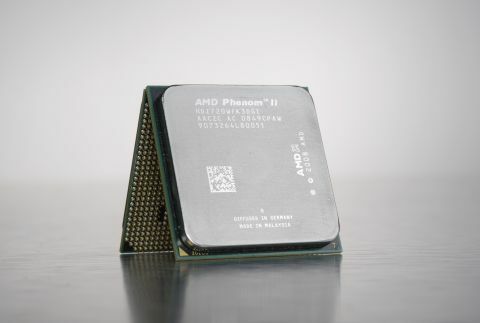 The Phenom II X3 720 Black Edition is a tripler, as indicated by the 'X3' moniker. It's here that your luck will be tested because it's possible to unlock the hidden core in the BIOS of most AM3-socket motherboards. When it comes to core unlocking, there are no guarantees. But with just one hidden core, your odds are at least better than the AMD Phenom II X3 550 BE, which has two hidden cores and double the chance of one being broken.